A huge early Celtic calendar construction has been discovered in the royal tomb of Magdalenenberg, nearby Villingen-Schwenningen in Germany's Black Forest. This discovery was made by researchers at the Römisch-Germanisches Zentralmuseum at Mainz in Germany when they evaluated old excavation plans. The order of the burials around the central royal tomb fits exactly with the sky constellations of the Northern hemisphere. Wow, Some researchers have found a german version of Stonehenge which is focused on the moon, not sun like Stonehenge. Medievalist here! Sure there were scams, and mystical thinking promoted by the church, but there is another, better answer to your question. I just wonder how the belief in magic could be so widespread if nobody personally witnessed such acts. I'm going to say something dicey, then explain the metaphor. I'll wax poetic too (in retrospect). Please bear with me. Done? Great! Now you have a pretty good sense of how much seemingly obvious, but not-self-evident scientific knowledge we have today that we take for granted. Now, for the poetic part - lets go back to the middle ages. Not the middle ages that's shrouded in "darkness" or "superstition" or anything like. Just a middle ages in which we have not yet invented a number of very important, but seemingly obvious philosophical ideas. So, they knew that, for example, temperature affected the world around them. They could tell that temperature was real because it could make swords stick in hilts, or water freeze, or people die... but temperature wasn't really a thingyou could hold or look at. It was this invisible force that's all around you and you just - sort of - feel it. They knew that time passed, although realistically there was no proof of this. Time does not make candles go out - fire does. Time does not make an hourglass settle, gravity does (not universal gravitation, the theory, the regular old "things fall" gravity). Time is just something that you felt pass. They knew that people could get sick, and sickness made people do strange things, and it moved around between people, but sickness was not really a force you could observe. You could only see its effects in other, and you just feelit in yourself. They knew that people could be angry. Anger makes people do strange things. Anger tends to move around and spread among people, and it can't be touched or held, but you feel it. It's clearly different from illness.. but how? They knew magnets could attract metals, and they knew you could not see or touch the magnetism, but you can feel it and see its effects. Magnets do not attract mercury.... so only some metals, sometimes. They knew that it was always coldest when the Sun was in Saggitarius and Capricorn. They couldn't see these constellations influence the earth, but like clockwork they did. When the Sun is in Ares, the summer is near. They know of tides, but no mechanism that ties the moon to the earth (without universal gravitation). They knew of hate, of faith, of virtue, and the ways these different things would make people act differently. They knew birds could fly, and so could insects, and so could balloons, and could burning paper... but not how. So why is it strange to believe that drinking a potion made of the sweat of a man with the pox could give you a fever, but drinking one made from a man who murdered wouldn't make you angry? If rocks can make one another float in the air - if lights can appear in the cold sky at night - if a healthy, happy, wealthy, faithful man can collapse to the ground in an instant and die with no warning, how much further is magic from that? Then pile on the fraud, the real but not understood chemical processes (why should lemon juice and finely powdered oyster shell begin to fizz when mixed, but lemon juice and finely powdered bone do not? ), the fact that news traveled slowly, the population was illiterate and could not research things for themselves. How did Pope Leo I turn back the Huns? Truth be told - we still believe in magic, just different magic - just different things we think we know without knowinghow. Have you seen a 4-year-old walk up to a TV that isn't on and try to touch the screen to wake it up? Have you seen a kid pick up literally any square object and try to talk to it? Have you ever tried to help someone understand why it is easy to get their phone to automatically tag their photo with their location, but impossible to get it to tag their photo by whether or not it is a picture of a bird? Why can't I take a pill to get over this cold? Hey, this vitamin C totally helped me get over this cold! Hey, you shouldn't eat unnatural food, it's full of toxins (not pathogens, not viruses, not cyanide - toxins). Magic is often just the over-application of understood systems to areas of reality where they do not apply. Thanks for this. It makes me understand my account's quote even more. Wheat was present in Britain 8,000 years ago, according to new archaeological evidence. Fragments of wheat DNA recovered from an ancient peat bog suggests the grain was traded or exchanged long before it was grown by the first British farmers. The research, published in Science, suggests there was a sophisticated network of cultural links across Europe. The grain was found at what is now a submerged cliff off the Isle of Wight. Farming of plants and animals first appeared in the Near East, with the technology spreading along two main routes into Europe. The accepted date of arrival on the British mainland is around 6,000 years ago, as ancient hunter gatherers began to grow crops such as wheat and barley. The DNA of the wheat - known as einkorn - was collected from sediment that was once a peat bog next to a river. Locationwhere fanciful imaginings and hard won knowledge meet to genesis the future. it's likely from my ancestors. I'd be willing to bet that they had to come up with agriculture before the rest of the world as their island slowly began to sink before that terrible year long ago where a tidal wave did the whole island in. It seems very likely given the locations being discussed. Live content within small means. Seek elegance rather than luxury, Grace over fashion and wealth over riches. Listen to clouds and mountains, children and sages. Act bravely, think boldly. Await occasions, never make haste. Find wonder and awe, by experiencing the everyday. The biggest men and women with the biggest ideas can be shot down by the smallest men and women with the smallest minds. Think big anyway. People favor underdogs but follow only top dogs. Fight for a few underdogs anyway. People really need help but may attack you if you do help them. Help people anyway. Give the world the best you have and you'll get kicked in the teeth. Give the world the best you have anyway. my fathers side 10,000 years ago; Doggerland. Genetic haplogroup from my paternal side, according to DNA testing is predominantly found bordering the north sea and does not exist before the time of Doggerland which is dead center of the cluster of the genes spreading. It's estimated that the line had to have started there. Doggerland was a land bridge that connected europe and the some of the nordic regions to the UK. as the iceage ended it got seperated and became an island continent of about the size of denmark. It was still a haven for wildlife and hunter gatherers. There are indications from surrounding areas that they were also strong fishing communities. Their abilities in water travel likely made them good traders. "At about 8000 BC the north-facing coastal area of Doggerland had a coastline of lagoons, saltmarshes, mudflats and beaches as well as inland streams, rivers, marshes and sometimes lakes. 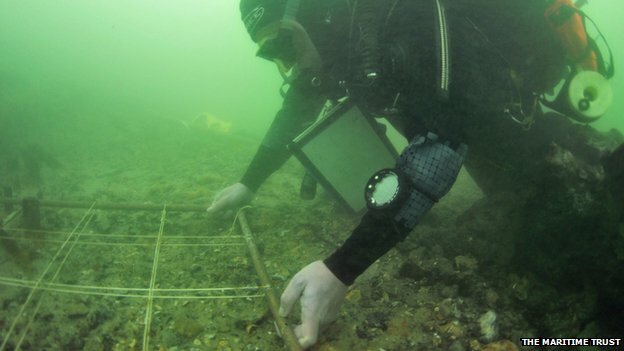 It may have been the richest hunting, fowling and fishing ground in Europe in the Mesolithic period"
But eventually a " megatsunami around 6200 BC (approximately 8200 BP) caused by a submarine landslide off the coast of Norway known as the Storegga Slide." and further insult to injury "the bursting of Lake Agassiz released so much fresh water to the world ocean that sea level over about two years rose enough to permanently flood much of Doggerland"
so the population spread to areas bordering the north sea and stayed clustered there pretty much, not spreading very far until more recent centuries. I'd wager that as water levels rose and hunting and gathering thinned game and plants for a growing population it would have required a more proactive game and plant managment akin to proto-agriculture. and being a population that grew around the seas and likely traveled across growing stretches of water through their history, they likely were experienced sea travelers and traders in the area before being forced to escape the sunken island. They probably supplied crops and animal goods and carried some with them when they were forced to resettle to the coasts around the north sea. In 1660, Robert Boyle dispensed with the Aristotelian theory that all substances were made up of the four elements. this is news to you? this is exactly why people talking about uploading minds and "the singularity will save us!" bother me. It's handwavium. It's why people who talk about stopping automation, vaccines, and GMOs annoy me. They've no idea what these concepts mean but they know they are mysterious and 'unnatural'. By the same token it annoys me when these Handwaviists become abusive or bullying toward religious people, because they deem the other groups Handwavium to be inferior. You don't understand it all, you have no clue how much you 'explain' without actually explaining. Everybody has a certain level of ignorance, it doesn't make anybody else worth less or worthy of contempt simply because your spheres of understanding and ignorance don't match. People need to start allowing each other whatever works for them, so long as it does not impose their views on others. It's not going to hurt anyone to accept and understand a friend who believes that the position of Jupiter on the day they were born means something about their personality. Anymore than it hurts anybody to believe that we will live to see 1000 years old, or have cybernetic brains, thing which we have absolutely no proof can be achieved at all, let alone in our lifetimes. You know something because you know you know nothing. Indeed. Even if they are not proselytizing their next door neighbor, "shutting up about it" they are definitely brain washing their children into believing a fairy tale. Which in a lot of ways is worse. The children don't have the mental capacity to question it, and by the time they do they are already indoctrinated and it's much more difficult for them to view the world in non-magical ways. If you don't apply pressures against ignorant belief systems then they are unlikely to change. The difference between Handwavism and, say, Christianity, is that Handwavism is built on the foundation that the technological growth we have now- an observable phenomena- will continue to accelerate. The details are admittedly unknowable, but Christianity and other religions have foundations completely detached from reality. The belief in an afterlife, and the consequential devaluation of the present life, deserves to be ridiculed as ignorant more so than Handwavism. One of the tasks for the future is deinitely a more detailed and thorough uncovering of the past, too. One of the mysteries of Europe's history is the Slavic westward migration and early Slavic culture, including religion. due to lack of (contemporary slavic) written accounts and too few fragments (at best) of any archaeological remains, we know astonishingly little about early Slavs in eastern Alps region. However, it appears that an early slavic shrine, dedicated to Perun (or Kresnik), was just discovered in a cave in Slovenia. Here is a paper about it. If it will be confirmed, this could well be one of the most important discoveries regarding early Slavic religion, as there is no extant shrines from that age, and images of Slavic gods are virtually nonexistent (apart from the Zbruch idol). Hope you will find this interesting :-) ... and please share any thoughts you might have.